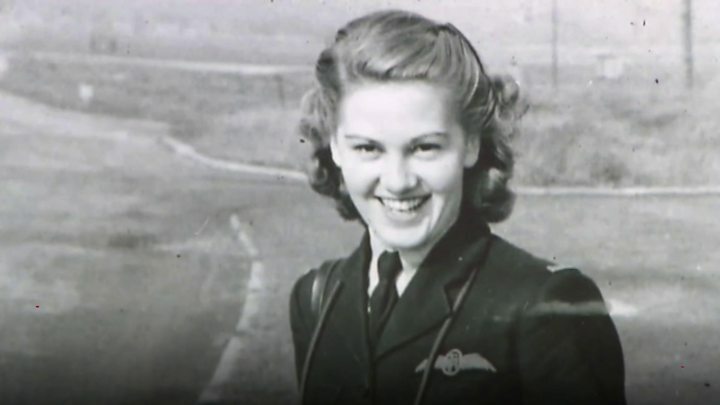 Veteran pilot Joy Lofthouse, who flew Spitfires and bombers for the Air Transport Auxiliary (ATA) during World War Two, has died at the age of 94. Mrs Lofthouse joined the ATA in 1943 after spotting a notice in a magazine calling for women to learn to fly. She was one of only 164 female pilots, known as the Attagirls, who flew aircraft from factory to airfield. The Royal International Air Tattoo said she was an "amazing character with even more amazing stories". The ATA was formed in 1940 when, despite some male opposition, women were allowed to fly military trainer and communications aircraft. Mrs Lofthouse, from Cirencester in Gloucestershire, learned to fly before she learned to drive. In an interview last year, she said: "I saw this caption in the Aeroplane magazine that said the ATA had run out of qualified pilots and were training. So I applied and I was in." Trained at Thame in Oxfordshire, she learnt to fly all types of single-seater aircraft but without a driving licence, she said she found "taxiing much more difficult than flying". "We had nine days of technical training - it wasn't very technical - no navigation, just map reading," she said. "After about 10 hours [of flying], they sent you off solo. My first solo flight I think you're only afraid if you're going to find the airfield again." The auxiliary suffered 156 casualties, mostly due to bad weather, but Mrs Lofthouse said when you are young "you don't think about the danger". "It was just part of the war effort. I felt very lucky that I was allowed to do something so rewarding," she said. In 2015, she returned to the skies, taking control of a Spitfire 70 years after last flying in one. Last summer, she was guest of honour in the Royal Box at Wimbledon, where she received an ovation from the centre court crowd. And last November, she and fellow ATA pilot Mary Ellis were honoured in front of members of the Royal Family at the annual Festival of Remembrance at the Royal Albert Hall in London. In all, she flew 18 different types of aeroplane across her career but the "wonderful" Spitfire remained her favourite. "It's the nearest thing to having wings of your own and flying," she said.